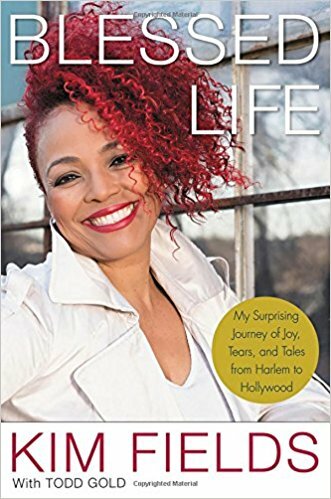 From "Facts of Life" to "Living Single" to "Dancing with the Stars" to wife and mom, here's the BLESSED LIFE of Kim Fields, veteran actress, TV personality, and star. Kim Fields has lived most of her life with people thinking they know her, which is understandable. From her first job on a Mrs. Butterworth syrup commercial at age 7, she has spent 40 years in the public eye. There were 9 years as Dorothy "Tootie" Ramsey on the classic sitcom The Facts of Life, 5 more in her 20s starring as Regine Hunter on the seminal coming-of-age show Living Single, and most recently appearing as herself on Real Housewives of Atlanta and Dancing with the Stars. Behind the camera, she has directed episodes of Kenan & Kel, Tyler Perry's Meet the Browns and House of Payne, and BET's Let's Stay Together. Between gigs, the pop culture icon's life has included theater, spoken word, music, speaking engagements, and simply being present to the point that she cannot go a day without someone stopping her to say, "When I was a kid, I wanted to be Tootie" or "You were my role model." Flattered and blessed, after four decades in the business, Kim finally understands the role she has played onscreen and off as a successful, outspoken African-American woman. However, for as much as she's been in the public eye, people have really never known her the way they think they have, and that's because she, herself, spent most of her life figuring herself out. Now, at age 48, she is ready to set the record straight. She says, "It's not that I've been misunderstood. It's that I finally feel like I understand me enough to tell the life story that I've been asked to write for years." It will be a chronicle of living, learning, and keen moments of self-discovery as she's journeyed through the many facets and chapters of life. Fields found faith at age 14 and has found God to be right there every step of the way since then. KIM FIELDS had her first job at age 7 on the Mrs. Butterworth syrup commercial. She's spent 40 years in the public eye. There were 9 years as Dorothy "Tootie" Ramsey on the classic sitcom The Facts of Life, 5 more in her 20s co-starring on the seminal coming-of-age show Living Single, and most recently she appeared as herself on Real Housewives of Atlanta and Dancing with the Stars. Behind the camera, she directed episodes of Kenan & Kel, Tyler Perry's Meet the Browns and House of Payne, and BET's Let's Stay Together. Between gigs her life has included theater, spoken word, music, and speaking engagements. She is a dedicated wife and proud mom of two boys. She and her family live in Atlanta, Georgia. I was already a fan of Kim Fields, especially as Tootie, but now I have a deeper and more profound respect for her as an actress and more. She has done so much in her time on this planet. I feel like I learned so much about her very private life. Also nice to read how deep her faith is rooted. So much so, when approached to do a show with less than savory morals, she wanted to know why they wanted her. To lighten the show up, of course! Sadly, it didn't work though. She's just better than that show, in my opinion. If you like to lean about other people, get a glimpse into their lives. Read this one. It's so good. She has had an incredible life, so far. Definitely read it if you like celebrity reads though. 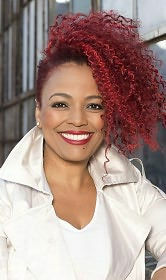 If you know how Kim Fields talks in real life, that is what you will hear when reading the book. **Compensation may be earned from the links within. A copy was provided to facilitate a review. Opinions are owned by Freda's Voice.